West Virginia bail bonds laws are in place to protect the defendant from bad bail practices and protect the rights of the West Virginia citizen. 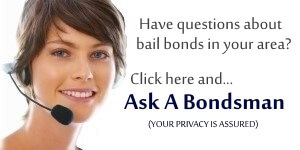 Be informed about how bail bonds work and know your rights to bail in West Virginia. §62-1C-1. Right to bail; exceptions; review. (a) A person arrested for an offense not punishable by life imprisonment shall be admitted to bail by the court or magistrate. A person arrested for an offense punishable by life imprisonment may, in the discretion of the court that will have jurisdiction to try the offense, be admitted to bail. (b) Bail may be allowed pending appeal from a conviction, except that bail shall not be granted where the offense is punishable by life imprisonment or where the court has determined from the evidence at the trial or upon a plea of guilty or nolo contendere that the offense was committed or attempted to be committed with the use, presentment or brandishing of a firearm or other deadly weapon, or by the use of violence to a person: Provided, That the denial of bail under one of these exceptions may be reviewed by summary petition to the supreme court of appeals or any justice thereof, and the petition for bail may be granted where there is a likelihood that the defendant will prevail upon the appeal. The court or judge allowing bail pending appeal may at any time revoke the order admitting the defendant to bail. (c) The amount of bail or the discretionary denial of bail at any stage of the proceedings may be reviewed by summary petition first to the lower appellate court, if any, and thereafter by summary petition to the supreme court of appeals or any judge thereof. §62-1C-1a. Release upon own recognizance authorized. Any other provision of this article to the contrary notwithstanding, when from all the circumstances, the court or magistrate is of the opinion that the defendant or person arrested will appear as may be required of him, either before or after conviction, such defendant or person arrested may be released upon his own recognizance. §62-1C-2. Bail defined; form; receipts. (a) The deposit by the defendant or by some other person for him of cash. (b) The written undertaking by one or more persons to forfeit a sum of money equal to the amount of the bail if the defendant is in default for appearance, which shall be known as a recognizance. (c) Such other form as the judge of the court that will have jurisdiction to try the offense may determine. All bail shall be received by the clerk of the court, or by the magistrate and, except in case of recognizance, receipts shall be given therefor by him. §62-1C-3. Fixing of amount; bail may cover two or more charges. The amount of bail shall be fixed by the court or justice with consideration given to the seriousness of the offense charged, the previous criminal record of the defendant, his financial ability, and the probability of his appearance. When two or more charges are filed or are pending against the same person at or about the same time, the bail given may be made to include all offenses charged against the defendant. §62-1C-4. Recognizance; signing; requirements for signers or surety company; release upon own recognizance; indigent persons. The recognizance shall be signed by the defendant. It shall also be signed by one or more adult persons owning real property in the state. The court or justice may require that justification of surety be furnished. The assessed value of the real property as shown on the county land books over and above all liens and encumbrances shall not be less than one half the amount of the bail. Or, the recognizance may be signed by the defendant and a surety company authorized to do business in this state. If the offense is a felony, the judge of the court that will have jurisdiction to try the offense may release the defendant on his own recognizance. If the offense is a misdemeanor, either the court or justice may release the defendant on his own recognizance. An indigent person who the court is satisfied will appear as required shall not be denied bail because of his inability to furnish recognizance. §62-1C-5. Recognizance and deposits subject to order of court or magistrate. The recognizance shall be returnable to and all deposits shall be held by the court before whom the defendant is to appear or does appear, and upon the transfer of the case to any other court the recognizance shall be returnable to and transmitted together with any deposits to such other court. The bail as initially given may continue in effect pending indictment, arraignment, continuance, trial and appeal after conviction, as the court may direct. §62-1C-7. Forfeiture of bail; basis therefor. (1) Whenever a person under bail serves as his or her own surety and he or she willfully and without just cause fails to appear as and when required or violates any other term or condition of bail, the circuit court or magistrate shall declare the bail forfeited. (2) Whenever a person or entity other than the person under bail serves as surety, forfeiture of bail shall be declared only when the person under bail willfully and without just cause fails to appear as and when required. §62-1C-8. Same — Setting aside. The court or justice may direct that a forfeiture be set aside, upon such conditions as may be imposed, if it appears that justice does not require the enforcement of the forfeiture. When a forfeiture has not been set aside, the court or justice, upon motion of the state, shall enter a judgment of default and execution may issue thereon: Provided, That if the forfeiture is declared in a court of record, the order taking judgment shall be entered at the same term of court in which the forfeiture was declared: And provided further, That if the deposit for bail be by a person other than the defendant, or if the bail be in the form of recognizance, such person making the deposit or the surety on the recognizance shall be given ten days’ notice by certified mail at his last-known address to appear and show cause why a judgment of default should not be entered. Execution shall issue in the name of the state and shall proceed in the manner provided by law in civil actions. If the bail be in the form of bonds or stocks, the judgment order may direct that all or part thereof be sold through a state or national bank or through a brokers exchange registered with the federal securities and exchange commission. §62-1C-10. Same — Bail in excess of jurisdictional limit of justice or of particular court. Where the forfeiture has been declared by a justice or by a court of limited jurisdiction of bail in excess of the jurisdictional limit of justice or of the particular court, such forfeiture shall be certified to a court of the county having sufficient jurisdiction, which court shall thereupon proceed as if the forfeiture were originally declared in such court. After entry of such judgment, the court or justice may remit the penalty in whole or in part under the conditions applying to the setting aside of forfeiture in section eight of this article. §62-1C-12. Same — Exoneration; return of deposit. (a) When the condition of the bond has been satisfied or the forfeiture thereof has been set aside or remitted, the court or magistrate shall exonerate the surety and release any bail and, if the bail be in a form other than a recognizance, the deposit shall be returned to the person who made the same. The surety may be exonerated by a deposit of cash in the amount of the bail or by a timely surrender of the defendant into custody. (b) Notwithstanding any provision of this code to the contrary, when a bail bondsman, as defined in article ten, chapter fifty-one of this code, has a surety bond forfeited because of the failure of a defendant to appear before a court or magistrate, that bail bondsman shall be reimbursed the full amount of the bond forfeiture, be it cash or surety, if the bail bondsman returns the defendant to the custody of the court or magistrate, within two years of the forfeiture of the bond. (c) The Administrator of the West Virginia Supreme Court of Appeals shall, ex officio, be empowered to audit, review and suspend any bail bondsman whose surety on bonds is or becomes insufficient or whose assets are below the amount of bonds he or she has in existence. §62-1C-13. Same — Defects in form of bail. No action or judgment for forfeiture of bail shall be defeated or arrested by the neglect or omission to record the declaration of forfeiture or by reason of any defect in the form of the bail, if it appear to have been taken by a court or justice authorized to take it, and be substantially sufficient. §62-1C-14. Bailpiece; issuance to surety; taking accused into custody. (a) A bailpiece is a certificate stating that the bail became such for the accused in a particular case and the amount thereof. Upon demand therefor, the court, magistrate or clerk shall issue to the bail bondsperson a bailpiece. Any officer having authority to execute a warrant of arrest shall assist the bail bondsperson holding such bailpiece to take the accused into custody and produce him before the court or magistrate. The bail bondsperson may take the accused into custody and surrender him or her to the court or magistrate without such bailpiece. (3) Bailpiece must be applied for by the bail bondsperson or his or her designee from the court’s circuit clerk or magistrate and hand-delivered by the bail bondsperson or his or her designee to the jail housing such offender on the next judicial day following the initial intake. (c) Any bail bondsperson who willfully fails to attempt to obtain the appropriate bailpiece within the allotted time period provided in subsection (b) of this section is guilty of a misdemeanor and, upon conviction thereof, shall be prohibited from continuing to conduct business in this state and shall be fined not more than one thousand dollars and confined in the regional or county jail not more than one year. (d) No officer, jailer or other person having authority to accept offenders in a county or regional jail is required to accept such offenders being housed in lieu of bailpiece if such offender appears to be in need of medical attention of a degree necessitating treatment by a physician. If an offender is refused pursuant to the provisions of this section, he or she may not be accepted for detention until the bail bondsperson, or his or her designee, provides the jailer or persons accepting such offender with a written clearance from a licensed physician reflecting that the offender has been examined and, if necessary, treated, and which states that it is the physician’s medical opinion that the offender can be safely confined in the county or regional jail. (e) The regional jail authority, the county sheriff, county commission, or any of their agents or employees, shall be immune from liability for any claims of illegal incarceration or other relative charges for any offender accepted into a facility under this section. The bail for a witness for or against the accused shall be conditioned upon his appearance at such time and place as the court or justice shall direct. §62-1C-16. Guaranteed arrest bond certificate. For a misdemeanor violation of any motor vehicle law of the state or any municipality, except reckless driving or driving while intoxicated, the guaranteed arrest bond certificate of any surety company licensed to do business by the insurance commissioner, when presented by the person whose signature appears thereon shall be accepted as bail in lieu of cash or recognizance in an amount not to exceed five hundred dollars. A “guaranteed arrest bond certificate” shall mean any printed card or certificate issued by an automobile club or association to its members in good standing bearing the signature of the member and containing a printed statement that such club or association and a surety company will guarantee the payment of any fine or forfeiture imposed on the member in an amount not to exceed five hundred dollars if the member fails to appear in court as required. Bail for a person accused of an offense against a municipality shall be governed by the provisions of this article applicable to a justice, except that the bail may be deposited with the mayor or with such other officer of the municipality as may be designated by the mayor or other chief executive officer of the municipality, and proceedings for forfeiture shall be prosecuted in the name and for the benefit of the municipality. §62-1C-17a. Bail in situations of alleged child abuse. (a) When the offense charged is an offense defined in article eight-d, chapter sixty-one of this code, it shall be a condition of bond that the defendant shall not live in the same residence as and shall have no contact with the victim of the alleged offense and the court may make such other conditions of bond with respect to contact with the victim as it deems necessary under the circumstances to protect the child: Provided, That the requirement of no contact with the victim of the alleged offense and all other conditions of bond may be reviewed by summary petition from the magistrate court to the circuit court or from the circuit court to the supreme court of appeals or any justice thereof. (b) In cases where the charge is a sexual offense, as defined in chapter sixty-one of this code, against any person, the court, upon a showing of cause, may make such conditions of bond on the defendant or on any witness bond issued under section fifteen of this article as it deems necessary with respect to contact with the victim. §62-1C-17b. Failure to appear; penalties. (a) Any person, who, having been released upon his personal recognizance pursuant to section one-a of this article or having been otherwise admitted to bail and released in accordance with this article, and who shall willfully and without just cause fail to appear as and when it may be required of him, shall be guilty of the offense as hereinafter prescribed, and, upon conviction thereof, shall be punished in the manner hereinafter provided. (b) If any such person was admitted to bail or released after being arrested for, charged or convicted of a felony and shall thereafter be convicted for a violation of the provisions of subsection (a) of this section, such persons shall be guilty of a felony and shall be fined not more than five thousand dollars or imprisoned not less than one nor more than five years, or both such fine and imprisonment. (c) If any such person was admitted to bail or released after being arrested for, charged or convicted of a misdemeanor and shall thereafter be convicted for a violation of the provision of subsection (a) of this section, such persons shall be guilty of a misdemeanor and shall be fined not more the one thousand dollars or confined in the county jail for not more than one year, or both such fine and confinement. (d) If any such person was admitted to bail or released pending appearance as a material witness and shall thereafter fail to appear when and where it shall have been required of him, such persons shall be guilty of a misdemeanor and upon conviction thereof, shall be fined not more the one thousand dollars or confined in the county jail not more than one year, or both such fine and confinement. (e) Any penalty authorized by this section shall be in addition to any forfeiture authorized or mandated by this article or by any other provision of law. §62-1C-17c. Bail in cases of crimes between family or household members. (a) When the offense charged is a crime against a family or household member, it may be a condition of bond that the defendant shall not have any contact whatsoever, direct or indirect, verbal or physical, with the victim or complainant. (b) In determining conditions of release, the issuing authority shall consider whether the defendant poses a threat or danger to the victim or other family or household member. If the issuing authority makes such a determination, it shall require as a condition of bail that the defendant refrain from entering the residence or household of the victim, the victim’s school, and the victim’s place of employment or otherwise contacting the victim and/or minor child or household member in any manner whatsoever, and shall refrain from having any further contact with the victim. A violation of this condition may be punishable by the forfeiture of bail and the issuance of a bench warrant for the defendant’s arrest or remanding the defendant to custody or a modification of the terms of bail. (c) The clerk of the court issuing an order pursuant to this section shall issue certified copies of the conditions of bail to the victim upon request without cost. (d) Where a law-enforcement officer observes any violation of bail condition, including the presence of the defendant or at the home of the victim, the officer shall immediately arrest the defendant, and detain the defendant pending a hearing for revocation of bail. §62-1C-18. Repeal of inconsistent laws. All provisions of this code which are inconsistent with the provisions of this article are hereby repealed to the extent and only to the extent of such inconsistency. If any provision of this article or the application thereof to any person or circumstance is held invalid, such invalidity shall not affect other provisions or applications of the article which can be given effect without the invalid provision or its application, and to this end, the provisions of this article are declared to be sever-able.